"Sepsis is a process that happens very rapidly. 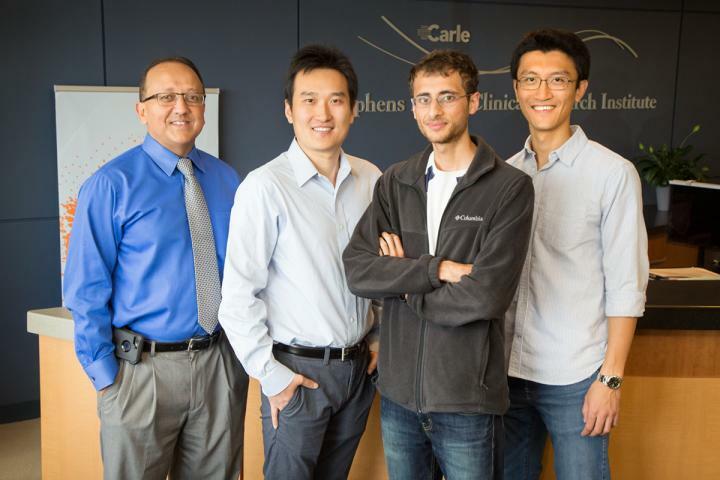 A patient could change from stable to near death in a matter of days or hours," said Ruoqing Zhu, a professor of statistics at Illinois and a co-leader of the study. "Data show us that if a patient is treated within a few hours of showing symptoms, there is a high survival rate. But as time lengthens, survival rate drops dramatically. So early decision-making is very crucial in treating sepsis." "Sepsis is one of the most deadly and costly conditions for hospitals in the United States, striking roughly 20 percent of patients admitted to intensive care units and accounting for more than 5 percent of health care costs nationwide," said Rashid Bashir, the executive associate dean of the Carle Illinois College of Medicine and a professor of bioengineering at Illinois. Bashir co-led the study with Zhu. "These biomarkers are the first things that get triggered in the progression of the disease, so it makes sense to look at them if you want to make a more accurate early diagnosis," said Ishan Taneja, the first author of the study. He is a recent Illinois graduate now employed at Prenosis. "These results support that the biomarkers reflect your health status quicker than outward signs," Zhu said. "Vital signs and other symptoms are observed from outside the patient, but biomarkers show what's going on inside the body. They change immediately once certain processes are triggered." "This paper focuses on making decisions from a single point, when a blood sample is taken. What we're working on right now is to take multiple measurements to see if the trajectory of disease progression can be predicted accurately," Zhu said. The paper "Combining biomarkers with EMR data to identify patients in different phases of sepsis" is available online. DOI:10.1038/s41598-017-09766-1.